Welcome to Weddingland, the bridal gowns boutique in the heart of Barcelona. Our bridal fashion experts have worked very hard to create an exquisite collection of wedding dresses for all tastes and budgets. Whether you will have a hippie-chic wedding at the beach or you want to feel like a princess in the 18th century castle, at our store you will find the perfect dress, crafted for just for you. We are proud to work exclusively with the leading brands in the bridal sector and offer you the best product on the market and the best value for money. Currently we are offering wedding gowns of such well known bridal fashion groups as PRONOVIAS and more. We have designed our Weddingland packs, which will allow you to enjoy great advantages and discounts along with the urchase of your wedding dress. For more information, please see the Weddingland Packs page or conact our team directly. 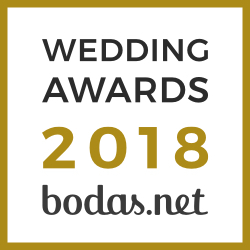 Find your perfect wedding dress in Weddingland Barcelona!